For the fourth year in a row, the Singapore Motorshow will return to the third and fourth levels of Suntec Singapore Convention & Exhibition Centre, from 11th to 14th January 2018. “Over the past three years, we’ve seen close to 160,000 visitors enjoy various activities at the Singapore Motorshow such as the launch of new models and world-class stunt driving performances. They can expect such popular activities to return for Singapore Motorshow 2018 as well as the addition of two new brands next year,” said Mr Glenn Tan, President of Motor Traders Association (MTA). Held across two levels, the 2018 edition of the Singapore Motorshow will feature automotive accessories, lifestyle products and services, in addition to over 20 automotive brands – including MINI and Seat, two new brands making their first ever appearance at the Motorshow. Porsche will also be making its return to the show. A key highlight of the Singapore Motorshow over the years, three-time Guinness World Record holder and British precision driver, Russ Swift, will also be returning once again to thrill visitors with his breathtaking stunt performances using Subaru vehicles. 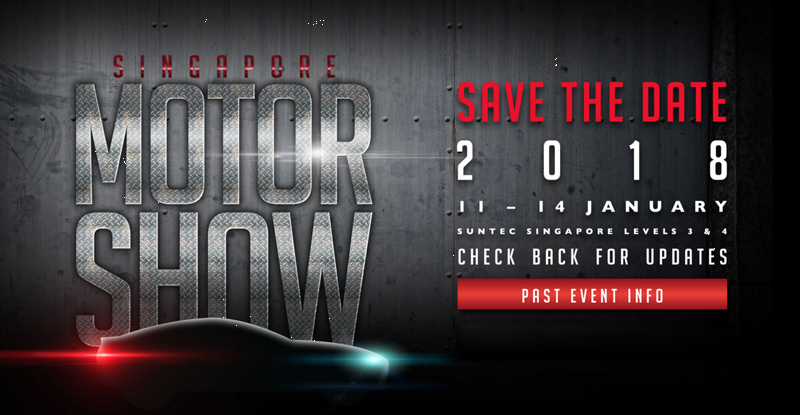 Entry to the stunt driving show is free for Singapore Motorshow ticket holders, on a first come first serve basis. Standard tickets for the Singapore Motorshow 2018 are priced at $6 for all four days while early preview tickets allowing the holder to enter at 1.00 pm on 11th January are priced at $10. All tickets will be available for purchase on-site at the ticketing counter on level 3, with complimentary access for children under 120 cm in height.